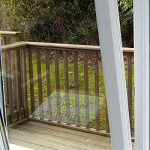 If you’re a home owner living in Truro, H and R Windows offer quality Truro Windows of all types at affordable price. All of our window’s can be tailored to suit your home and we have a choice of frames and glass available. There has never been a better time to invest in double glazing windows. With energy bills continually on the rise you can dramatically decrease your annual heating bills by deciding to replace the windows in your family home. We have installed Truro Windows for well over ten years and our customer testimonials speak for themselves. We also offer a range of aluminium and hardwood windows if you are thinking of an alternative to the popular uPVC. We give free quotes and advice so please get in touch with us today and one of our expert window installers will be happy to help you. There is absolutely no obligation with our quotations our free advice and it never hurts to chat. 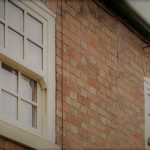 There are a number of styles which you may want to consider and these include bay windows, tilt and turn windows and sash windows. If you are living in Truro and are thinking of replacing your windows there is no better company to contact than H and R. Browse though our extensive portfolio of work and look at the great services we offer. We are open all year around and pride ourselves in offering the best service in the city. Double glazing repairs in Cornwall is a service we pride ourselves on, offering a reliable and cost effective repair service throughout Cornwall, covering Penzance to St Austell and Newquay to Falmouth. H and R windows will always do our best to repair your issue at the earliest and most convenient time . If there are problems with your doors, Windows or conservatory H and R Windows can help, with over 25 years experience in the industry we can repair most problems that arise with most repairs taken care of on the spot and for those more difficult problems we can let you know how long it will take. H and R windows has a large stock of parts, enabling repairs to be carried out fast and efficiently, however our suppliers can deliver spare parts within 24 hours making sure we deliver a prompt service at all times. If your problem is one of the list above then we should be able to give you a quote over the phone. If it is something different please do not hesitate to contact us as we can repair the majority of problems with little or no time delays. H and R windows not only repairs your problems but also install brand new products, including composite doors, Casement windows, Conservatoires and much much more. Please do not hesitate to contact us and enquire about our other services. 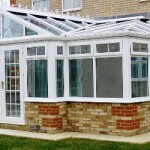 In Penzance a conservatory can help to add that extra room to your house without having to consider moving. A conservatory is considered a great investment to any property with the value of your home increasing generally by atleast the cost of the conservatory! No matter what kind of Conservatory you are after, if you live in or around Penzance H and R Windows can design, supply and install, leaving you to enjoy your new room without the hassle or stress that can sometimes come with these types of builds. H and r windows can design any type of Conservatory to suit your requirements and can do this in any type of style, you will be able to see a professional CAD design of what your new conservatory could look like to ensure you are happy to proceed and throughout the whole process you and your feelings are at the forefront of our minds, cleaning up after ourselves and sticking to the time frame agreed. All our products come with a manufacturers guarantee and are of the highest quality and spec to ensure long life and efficiency. All base work is carried out by our preferred contractors to ensure standards are kept as high as possible, so there is really no need to look anywhere else! 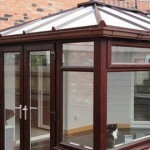 H and R windows have over 25 years experience of installing all things Upvc with conservatories being our speciality. We pride ourselves on offering great value alongside great service and will aim to meet and exceed all expectations. We cover all of Cornwall including Penzance and the surrounding areas and are available to discuss your needs from Monday till Friday 9 till 5. H and R windows does not employ any hard sales staff, instead we are here to help advise and offer a friendly and reliable service. Please do not hesitate to contact us for a free no obligation quote or alternatively email us through our contact form.